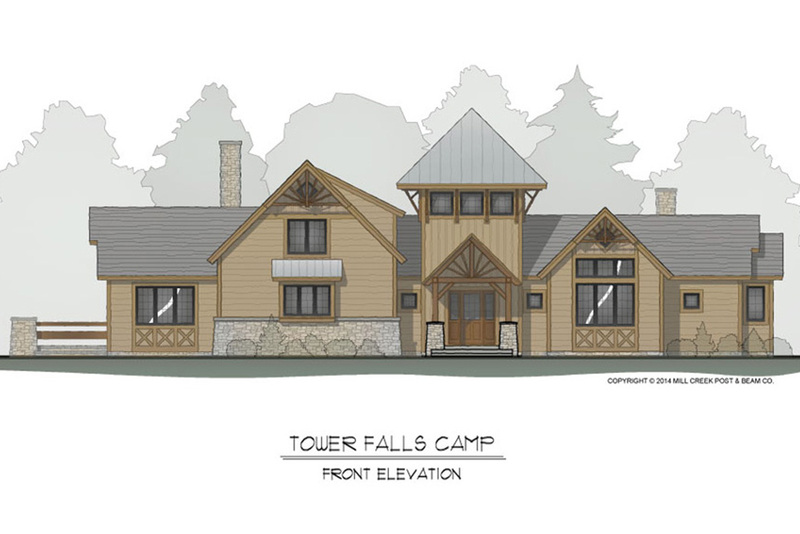 The Tower Falls Camp is a rich interpretation of the rustic style that seems to grow out of its mountain environment. The variety of textures captures your attention from first sight, creating visual excitement and evoking a sense of adventure from the exterior throughout all the interior spaces. 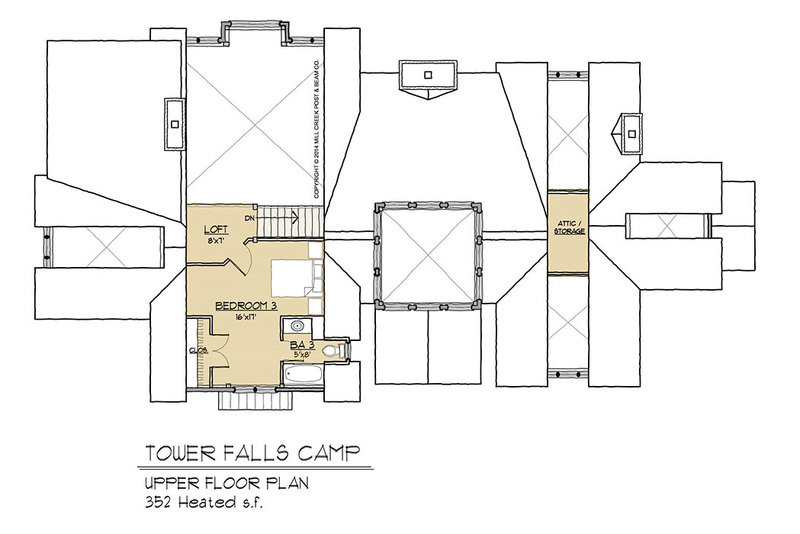 The open floor plan features a dramatic use of volume tempered by the cozy intimacy of varied ceiling heights. 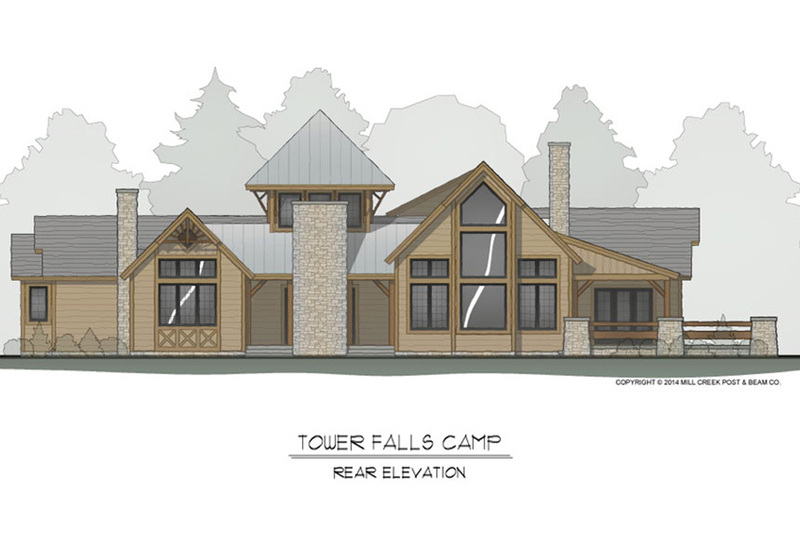 Retire to the luxury master suite after a day picnicking on the covered rear porch and an evening reading by the lodge-style stone fireplace. Add a detached or attached garage (with possible bonus space above) to the front of the home connected via a service/mudroom entry into the kitchen area. Add a lower-level living area when built on a sloped lot. 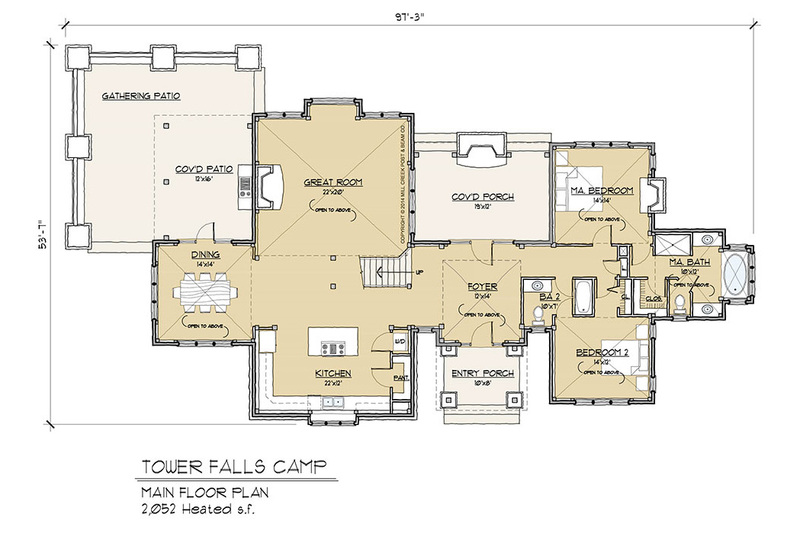 The additional square footage easily accommodates two additional bedrooms, 2 – 1/2 baths and a larger rec room, with space leftover.